Sorry for not being around lately. Life is a bit overwhelming, but the good news is I finished my first essay for this semester. So happy about it… 2 essays to go! OH MAN. I’m in need of lots of encouragements and prayers. Hehehe. But I must say, Norway is amazing, I love doing life here. I’ve been making this dish for the last couple days for dinner. 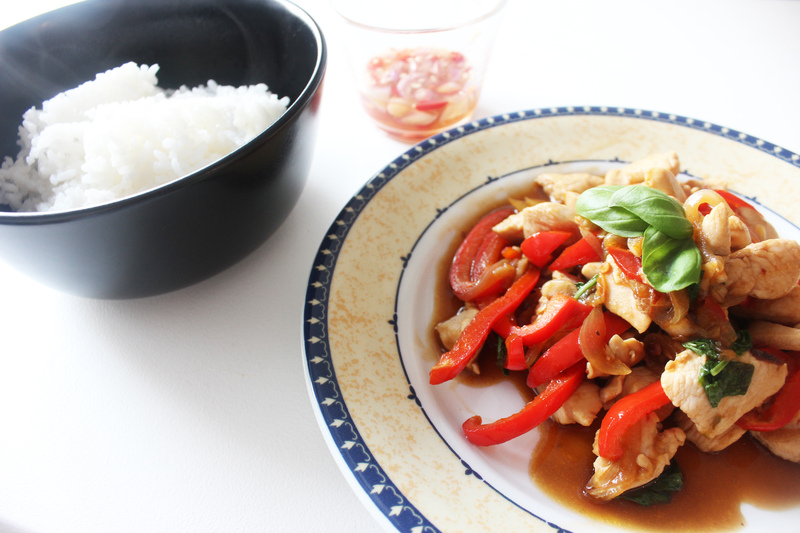 The name of the dish is “Thai Basil Chicken”. It tastes soooo good! 1. Prepare your ingredients and set aside. 2. Also, mix all the ingredients for the sauce in a bowl, then mix well. 3. Saute the garlic with the crushed chili in olive oil for 1-2 mins on medium heat until it smells fragrant. 6. Add paprika, stir fry for 1 minute. 7. Pour the sauce into the pan, stir again and mix well. Cook for 1-2 mins or until the sauce thickens up a bit. 8. Lastly, add the fresh basil. Stir and mix well until the basil has wilted around for 30 seconds. 9. Remove from the heat and serve with hot rice. To make the dish perfect, I also added Thai Lime Chili on the side. It goes well together. 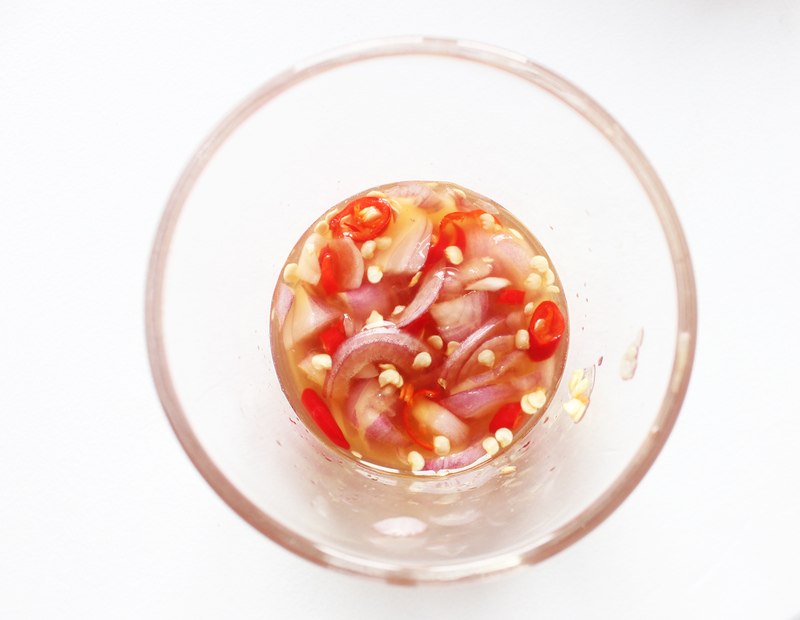 Not only for this dish, Thai Lime Chili is also a perfect match with any other Thai dishes. 3. Serve on the side with the main dish. Previous Post #OOTD: Bohemian Love.